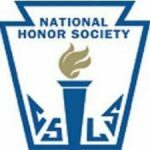 The National Honor Society Induction Ceremony has been rescheduled to Wednesday, November 7, 2018 at 6:00 pm in The Commons. All new members who have not been inducted previously are encouraged to attend. Please wear appropriate attire (business casual), as this is a formal ceremony. Family and friends are welcome.